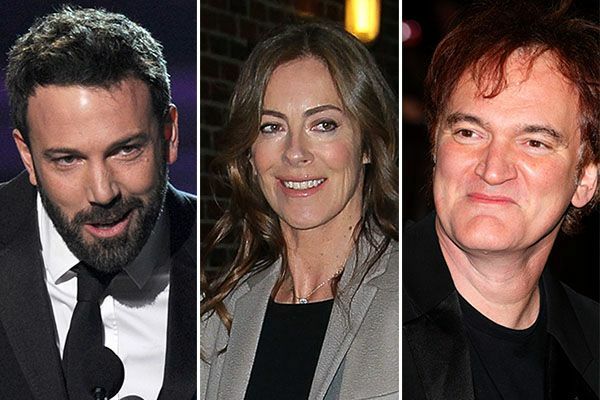 » What Did Your Favorite Oscar-Snubbed Directors Do Last Night? What Did Your Favorite Oscar-Snubbed Directors Do Last Night? With this year’s Oscar nominees snubs, an atypically cohesive consensus has already formed, at least within the Best Director category: no Quentin Tarantino? No Ben Affleck?! No Kathryn Bigelow?!! But knowing a nation of critics is scratching its heads is small solace for not getting a shot at cuddling up in bed with a shiny new Oscar. So how are our snubbed directors taking it? Elsewhere, Benh Zeitlin, a shocker of a nominee for Beasts of the Southern Wild, spent the morning after the announcement “trying to jump back and forth on the bed as many times as possible.” Sorry, Quentin, Kathryn, Ben (with no “h”) — no bed-jumping for you this year.